Summer is here and my make-up bag is becoming lighter and lighter. 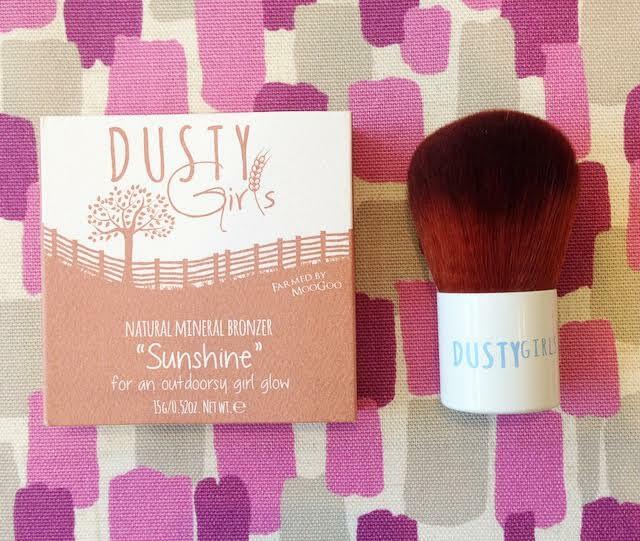 Today it’s 29’C so it’s the perfect day to write about Dusty Girls natural mineral bronzer “Sunshine”. Normally I would wear a very light layer of foundation and then two strokes of bronzer to add some colour to my cheeks, today I am wearing a very light coat of natural foundation and one layer of “Sunshine.” My skin feels…. “relieved”. No more winter make-up. 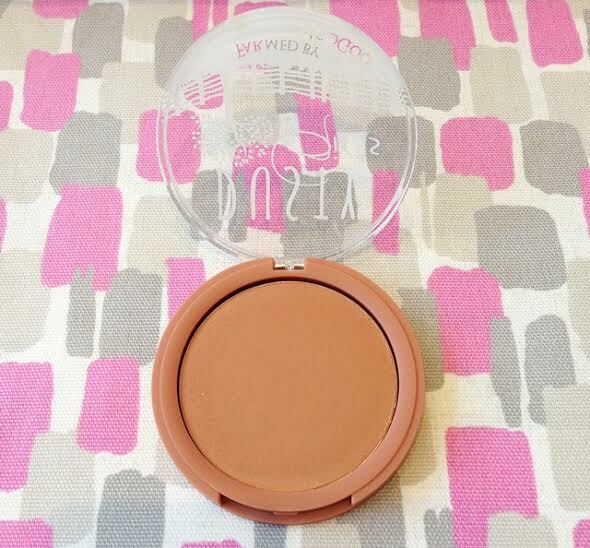 “Sunshine” bronzer is made from natural micas with Macadamia Oil and Jojoba Oil and Vitamin E to enhance and protect your skin. It keeps skin soft and nourished, even in this heat. 1. Exfoliate every evening. This will help rejuvenate the skin and clean the day’s impurities, excess oil and dry skin. 2. Drink plenty of water at room temperature and avoid dairy and sugar. A healthy digestive system equals healthy skin. Pesky hormones can cause annoying breakouts but dairy and sugar don’t help. Of course I’m not asking you to give up your Friday night take away, but just be slightly more conscious of what you’re putting in your body. 3. Take one Vitamin D 5000iu tablet a day. It doesn’t seem like much, but I have suffered with random breakouts and stubborn skin for years. Sunshine helps, but Vitamin D tablets have already made a huge difference to my skin. Results will appear after approximately three weeks. I have been using the Live Well brand, but any will do. 4. Be aware of what you are dressing your face with. 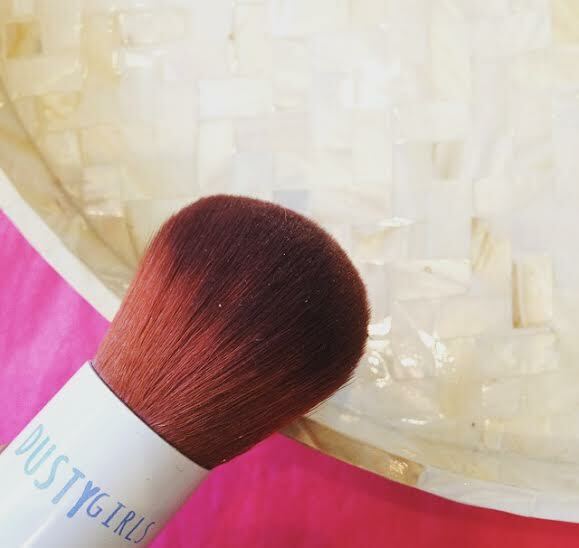 Dusty Girls natural mineral make-up by MooGoo contains vitamins and healthy oils for the skin, including Jojoba natural Vitamin E and Macadamia. It doesn’t suffocate your pores and looks natural on. In the summer wear a light tinted moisturiser with a concealer stick for any serious problem areas. Add some colour to your cheeks using MooGoo’s “Sunshine” natural mineral bronzer, which is much better than using chemical filled make-up to dress your skin. Remember to wash your make-up brushes every month. Normal shampoo is fine, leave them to dry head sticking out over the edge of the sink or a bowl. 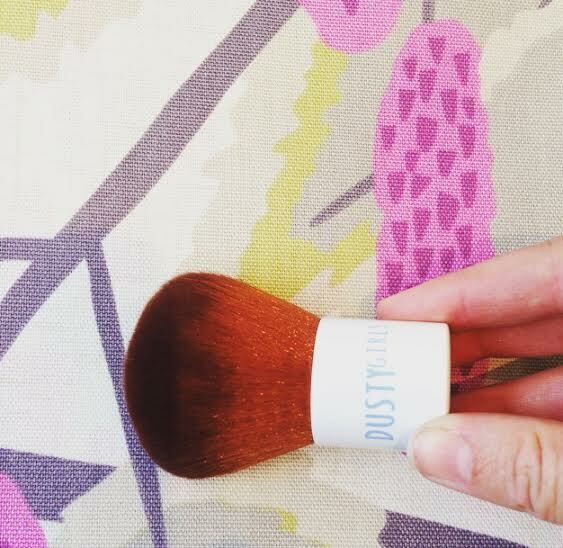 Dusty Girls do a fab face powder brush called the “Kabuki Brush”. It’s 100% cruelty free and uses no animal hair. The bristles as just as soft and don’t moult. It’s also the perfect size for any make-up bag as it’s head is larger than it’s handle.